A perfect balance of sweet natural Honey and Sea Salt give this flavor an addicting character. 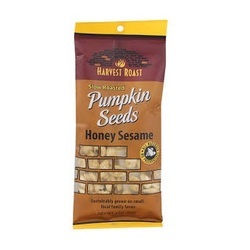 A slight sprinkling of toasted and roasted Sesame Seeds give random hints of a nutty flavor. Not too sweet or too salty, this flavor is a guilt free healthy snack food for those who crave a little sweetness to their day. Enjoyed by young and old alike!